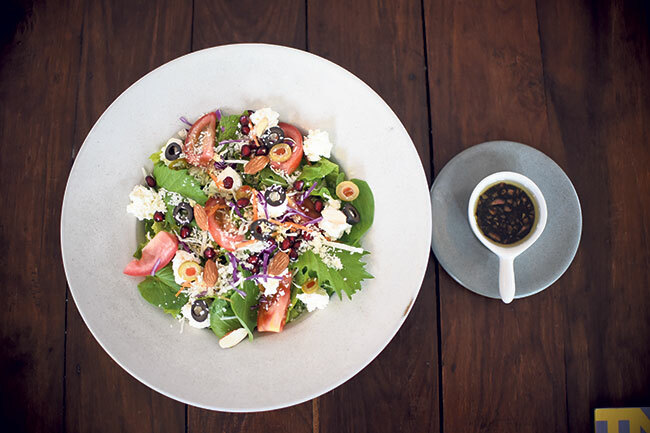 Husband and wife duo Chuck Han and Siwon Choi started Salon De Kathmandu, a cafe and bistro in July 2016. According to Han, he accidentally stumbled upon the property that now houses Salon de Kathmandu and a bed and breakfast called Maison de Kathmandu and was immediately taken by the large garden. “I could see it being a place where people could come in and enjoy some peace and quiet,” he says. The duo chose to name their cafe and bistro “Salon”, which is French for a large and cozy living space. 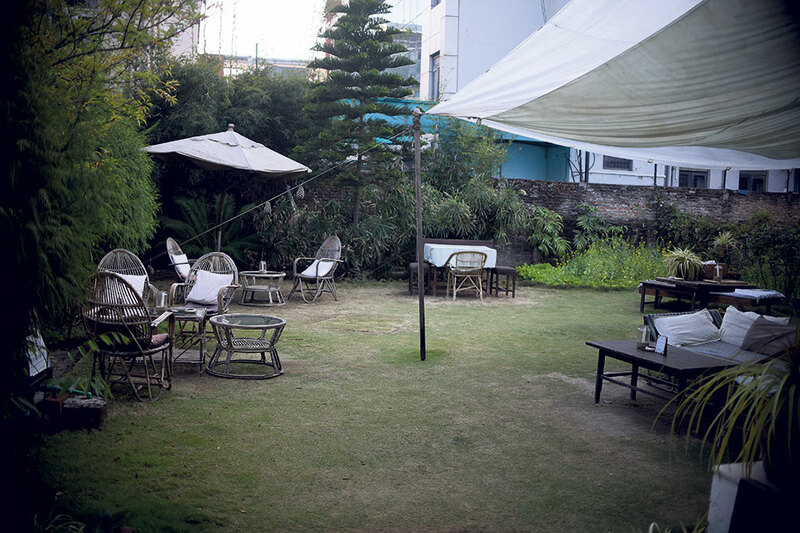 And considering the fact that it’s located in the city of Kathmandu, they chose to name their cafe and bistro Salon of Kathmandu thus, Salon de Kathmandu. The entire vibe of the Salon de Kathmandu oozes comfort and coziness. The furniture is kept simple and minimalistic and fit naturally in the home’s original build. The filament lights, lamps, the wooden tables and chairs as well as the plain sofas lend the place a chic and hip look. And the soft jazz music that the owners have playing in the background makes the place feel very soulful and calming. While deciding on the food, the duo chose to put out continental food with a dash of East Asia, i.e. 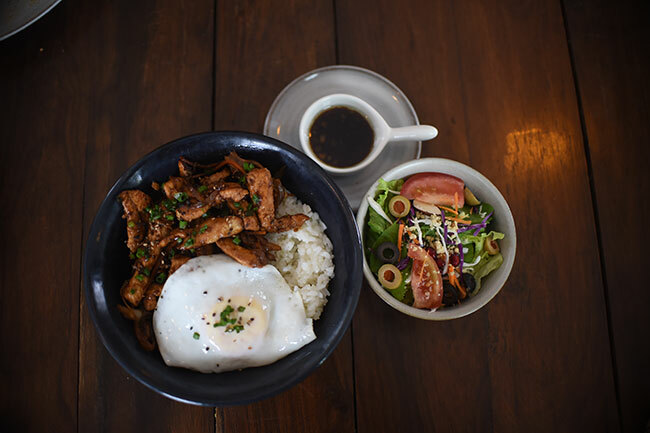 the dishes they serve are not exclusively East Asian as they have items like pastas, burgers, steaks, sandwiches etc. However, these dishes are given a twist with the help of Asian ingredients like soy sauce, teriyaki sauce, spicy chili sauce, to name a few. All the recipes for their dishes are personal to Choi, and thus, have a unique, home-like taste to them. Another thing worth mentioning is that most of the sauces are homemade and the greens are grown in their own garden. 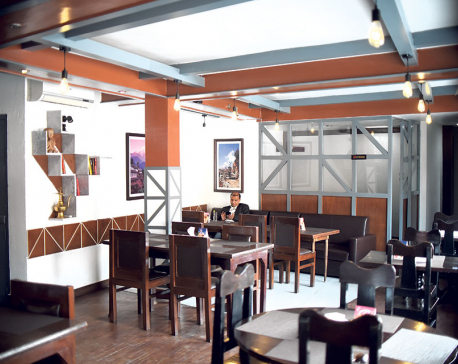 Han reveals that the main idea of their business is to run a decent restaurant that allows its customers an escape or, in other words, offer an ‘oasis’ from the hustle bustle of the Kathmandu life, all the while serving good quality food. Before the tasting, Choi let us know that the “Spicy Chicken Rice Bowl” was their bestselling dish from the rice menu. The chicken has a subtle sweetness to it. It looked brown and crispy, creating a contrast with the white rice. Along with the chicken, there were other vegetables like mushrooms, carrots and onions all coated with a spicy chili sauce. It was given a fine finish with a fried egg on top of the meat and rice. As expected, the tang of the spicy chili sauce was well balanced with the neutrality of the plain rice and the sizable portion made it a filling dish. And the dish is served with some salad on the side. For me, personally, this dish gave me a whole new perspective to pumpkins. Like many Nepali children, pumpkin, “farsi” as it is so lovingly called, was not my personal favorite while growing up. Usually, pumpkin is served as curry and it’s sort of lumpy and so trying pumpkin in its creamy smooth version was delightful. 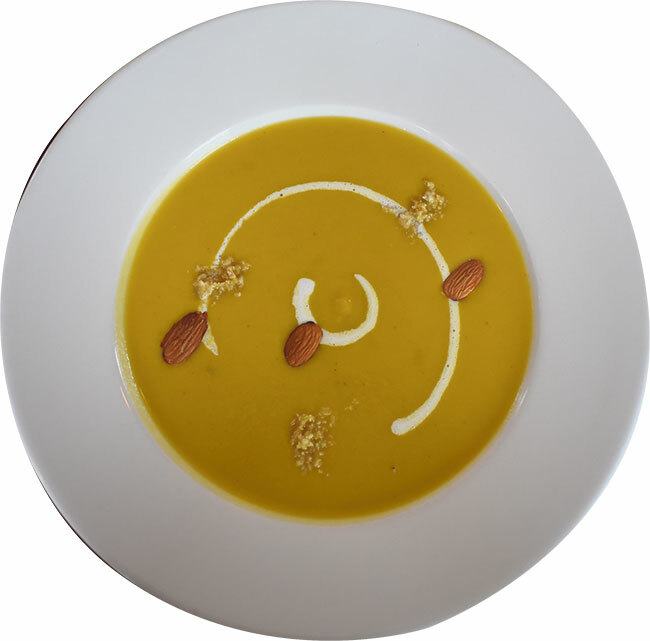 The soup contained pureed yellow pumpkin mixed with cream, some nutmeg and was topped with almonds. The texture was smooth and the seasoning was subtle and it didn’t overpower the creaminess of the pumpkin. It’s a dish for anyone who likes to enjoy a certain taste and flavor in its true form, without the invasion of spices and seasonings. 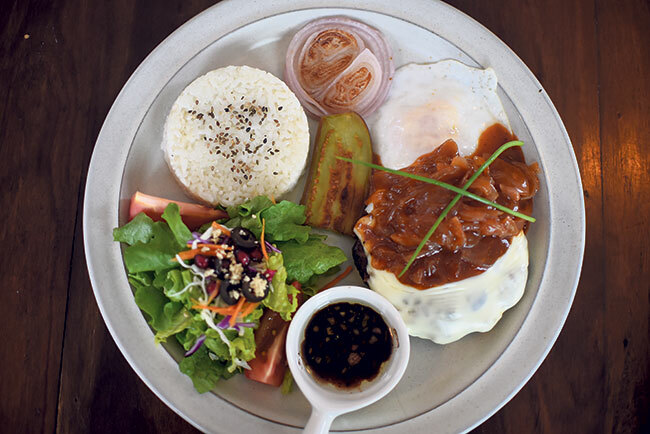 Hamburg steak is a special kind of Japanese steak where the meat is minced and put together like a patty. The rendition of the Hamburg Steak that we were served was layered with a slice cheese and a fried egg. The meat was supple and flaked right off when dug into with a fork. It was juicy and extremely well seasoned. Along with the steak, rice, some grilled vegetables and salad were also served to give the dish an overall balance. The served portion makes for a filling lunch or dinner as well. 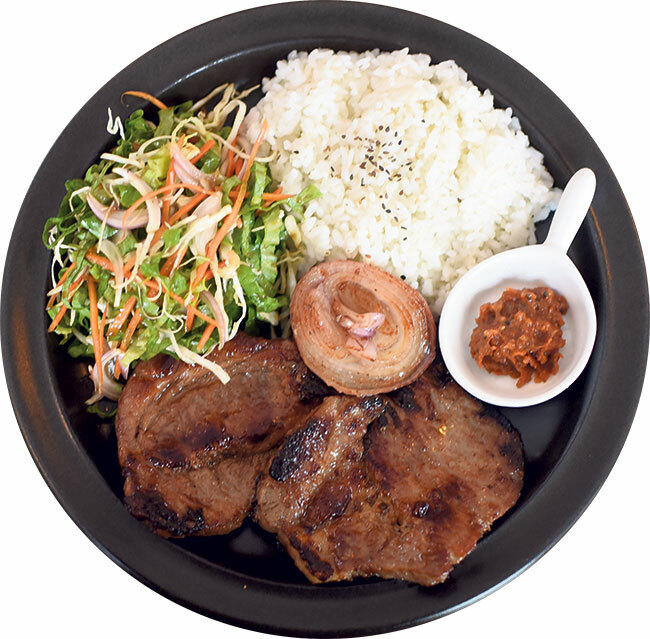 The pork steak, as briefed by our host Choi, involved a typical Korean marinating process. It was marinated with ginger, teriyaki and soy sauce, among other ingredients. The dish was served with rice, grilled vegetables and “Ssamjang” a special Korean sauce. The sauce had a spicy punch to it and it went well with the sweetness of the pork steak. The steak itself was tender and flavorful and it tasted best while hot. The effort put into it was evident from its presentation as well as the overall taste. I personally felt like it would make for a wonderful dinner, complimented by a cocktail or some fine wine. According to Choi, this dish comes under one of their bestsellers and it was easy to see why. Perfect for a large group of friends who make ordering food seem like a mission to mars, it is all our favorite things fried and served. 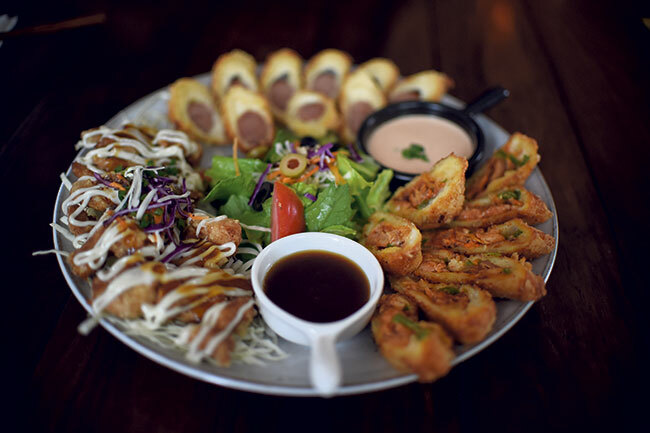 The platter had three different things: fried sausage cheese roll, fried meat cheese roll and fried chicken teriyaki, served with a mini salad. The teriyaki chicken was creamy and crisp on the outside and soft on the inside and the other two were equally good. The fried rolls were not heavy like some fried food tend to be and you could taste the freshness of the dish. The salad looked fresh and tantalizing and the taste, of course, did not disappoint. The Ricotta cheese (that is homemade) was thick and creamy, and it reminded me of a particular scene in Luga Guadinano’s “The Bigger Splash”, where Tilda Swinton indulges in the taste of freshly made ricotta at a home of a Sicilian momma. My experience with the ricotta was almost as glamorous as hers and all that was lacking was Bill Evans on the piano. The salad had home grown greens, olives, tomatoes, almonds, pomegranate, and was topped off with a balsamic dressing (homemade, of course) on the side.